Custom Trade Show Display Stands - Let Impact Displays help. A raised floor creates a perimeter for your custom display stand and enables you to personalise the space even further. There are some practical advantages to a raised exhibit floor such as cable management and when carpet is added you can improve the underfoot comfort for the staff working on the exhibition stand. To rent or to buy flooring is an important decision when planning a custom stand. 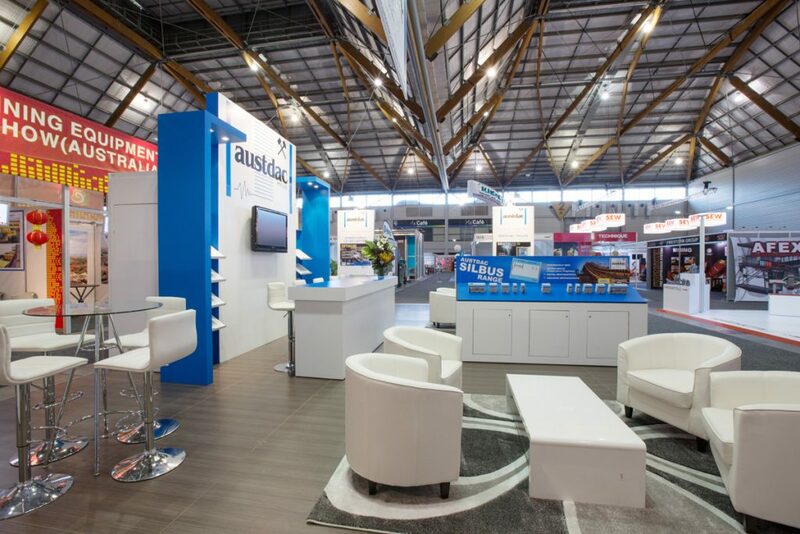 Hiring a raised floor will save on storage costs between shows and transportation costs if you build the custom stand at multiple exhibition centres. The initial outlay for a timber laminate floor is quite high so if your budget is tight then then renting is a good option. One of the downsides to renting a floor is that you may be limited in colour choices but if this was a major problem then we may pursue buying the floor and renting it back to a client if we felt the colour would be popular at future trade shows. The reason you choose Impact Displays as your custom display stand provider is to guide you through these types of questions and ensure you get the best results from your event. Without a doubt buying the floor is the premium approach but when differentiation from your competitors is the name of the game it might just pay off.